Comments: Katherine Bindrim (Nee: Schneider) | Chicago IL USA | 1851-1900 | Comments: This photo was found in an ancestors photo album. They are presumed to be Katherina, William and their eldest daughter, Katharina. Need to verify the woman on the left. Trying to find the year of this picture. 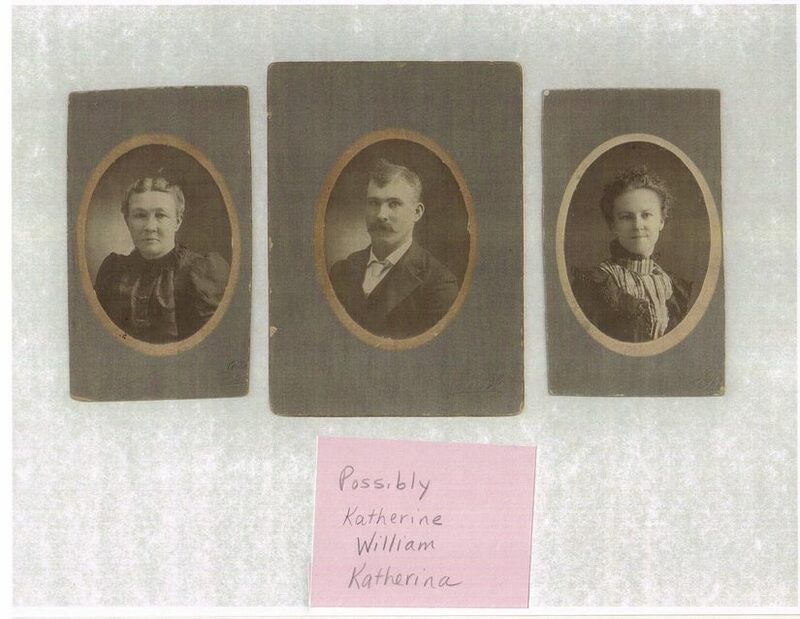 Should be around 1880 to 1885 As Katherine, the woman on the left dies in 1885 and the woman on right dies in 1889. The only other picture that exists of either of these women is posted on this site as well. Comments welcome as to the comparison.